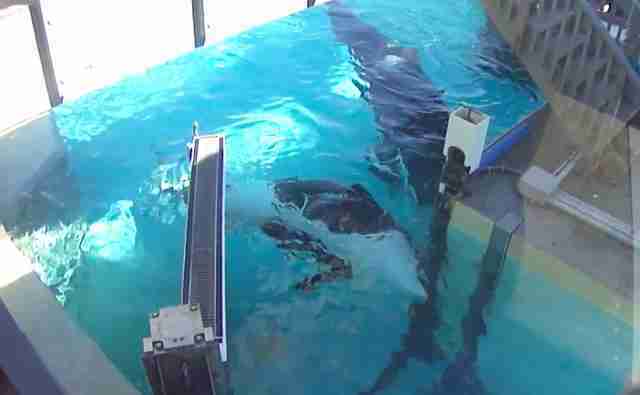 Pregnant Kalia trapped in electric gate at Seaworld. For over an agonizing minute 9 year old pregnant Kalia struggles as she is trapped between a concrete corner and a heavy electric gate that separates the pools. @2:02 Gate #8 closes on Kalia as the trainer thought that she had her with Ulises who comes over to investigate. Gate #9 (Dine with Shamu/SUV pool to the right back pool) opens right after #8 closes on Kalia, at the start of the video, it looks like Kalia was chatting with either Kasatka or Corky through the med pool, she was so quick to get away from her trainer and tried to sneak back in the med pool until that gate closed. Once Kalia gets stuck, she starts to struggle to break free to no avail. 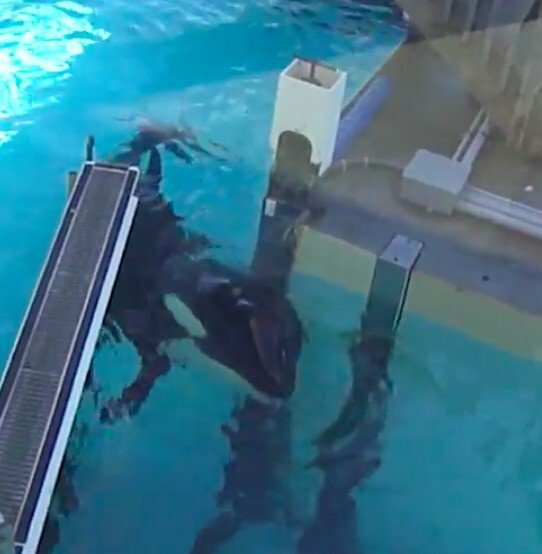 Seaworld supporters have said the gate reopens and she is playing a game but if you watch the video, you will see her panicking and trying to break free and looking around for help. Ulises, the father of her first calf, comes over to check on her then the gate finally releases her. After over agonizing one minute and with patrons yelling "it's stuck" "it's closing!" "that's not good" "now it's gonna slam her tail" the gate finally released her. Right afterwards she floats on her back. A child cries heard off-camera concerned for her safely as the mother consoles him. Kalia is due next month with her first calf. 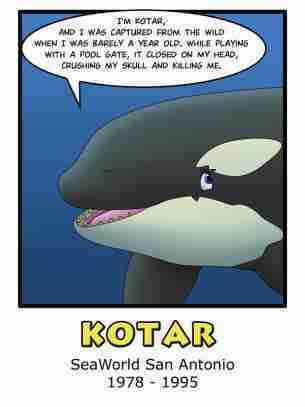 Most haunting is that Kalia's grandfather Kotar (at Seaworld Texas) died exactly like this, but 20 years ago when the gates were different. Kalia was lucky this time. The next day another video shows Kalia attacking Keet (her father), Ikaika, and the father of her calf Ulises. 3:06pm - Kalia goes after her Dad Keet, then Ikaika then the father of calf Ulises. Orkid then investigates. She is showing aggression and is in the final stage of her first pregnancy. 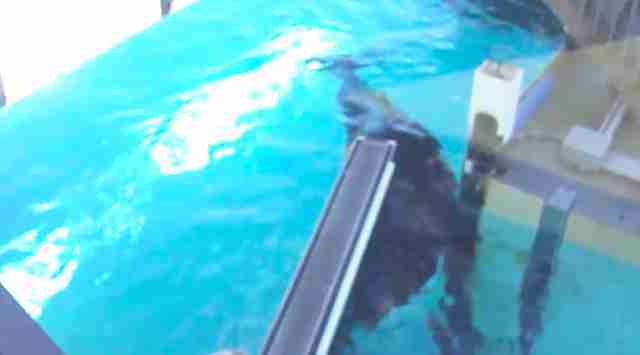 This is part of the "world-class care" at Seaworld.